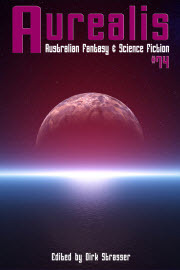 The short lists for the 2016 Aurealis Awards went up today and OMG I’M ON IT!!! My creepy, nasty, strange little story Pretty Jennie Greenteeth from Belladonna Publishing’s Strange Little Girls has been nominated in the YA category! And because these things are always better shared, I’ve got so many good friends on the short list with me, I’m hard put to count them all. So particular congrats to Shauna O’Meara, Dave Versace, Ian McHugh, Elizabeth Fitzgerald, Kaaron Warren, Tim Napper, Tehani Wessely, Thoraiya Dyer, Simon Petrie, Angela Slatter, Alan Baxter, Sam Murray and Lisa Hannett – and everyone else on the list!